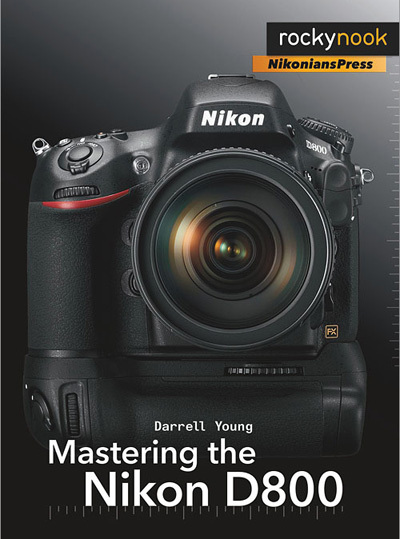 Mastering the Nikon D800 by Darrell Young provides a wealth of experience-based information and insights for owners of the new D800 camera. Darrell is determined to help the user navigate past the confusion that often comes with complex and powerful professional camera equipment. This book explores the features and capabilities of the camera in a way that far surpasses the user's manual. 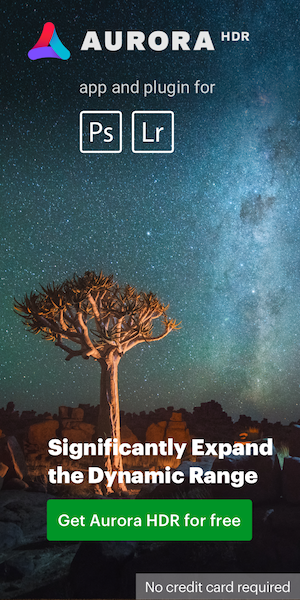 It guides readers through the camera features with step-by-step setting adjustments; color illustrations; and detailed how, when, and why explanations for each option. Every button, dial, switch, and menu configuration setting is explored in a user-friendly manner, with suggestions for setup according to various shooting styles. Darrell's friendly and informative writing style allows readers to easily follow directions, while feeling as if a friend dropped in to share his knowledge. The learning experience for new D800 users goes beyond just the camera itself and covers basic photography technique. 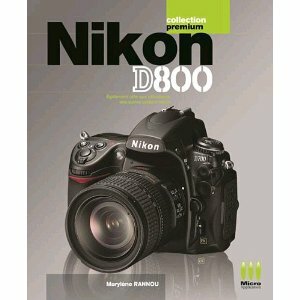 Check also the Nikon D800 Digital Field Guide (publisher: Wiley). 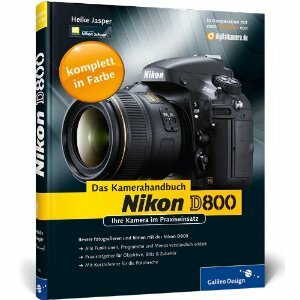 In German language: Nikon D800: Das Kamerahandbuch: Ihre Kamera im Praxiseinsatz. There are few other listings here. In French language: Nikon D800. This entry was posted in Nikon D800 and tagged Nikon books. Bookmark the permalink. Trackbacks are closed, but you can post a comment.